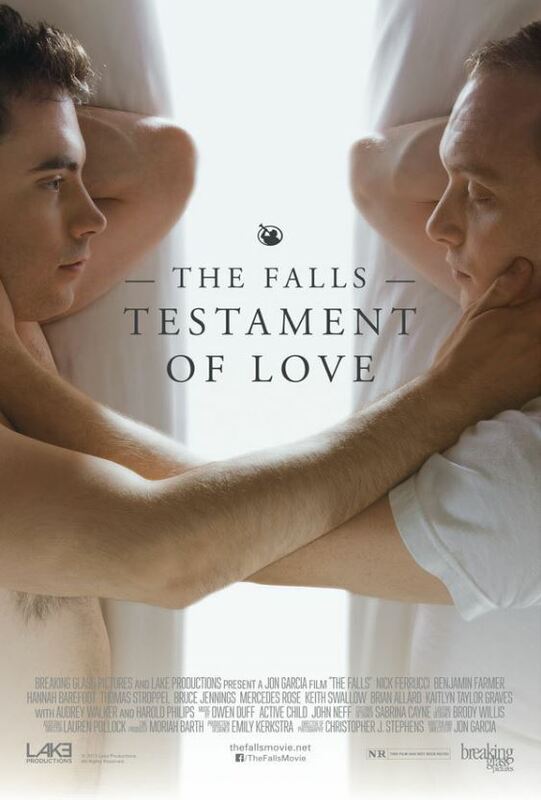 At the end of the last film, The Falls, we were hopeful that RJ and Chris would find something together. And as this film tells us, they did – for a while. But when Chris returned home he got caught up in choosing between the life the Church promised or a life with RJ. He chose God. Meanwhile, RJ seems to have moved on and now has a boyfriend with him living in Seattle. When RJ and Chris’s mutual friend, Rodney, passes away all is not as it seems when the two reunite. Feelings that were under the surface for the past five years are closer than they thought. I admire RJ’s tenacity as he pursues Chris as the one who got away. He knows there is a connection there, and neither of them can deny it. But Chris will certainly try. I especially like the scene where Chris’s father, Noah, contacts RJ’s father, Tom. He asks Tom to help him persuade RJ to leave Chris and his family alone. Noah, as someone who has spent his whole life in the Church, would be expected to agree or defend the Church. But that is not how the scene goes down, and it’s heartening to watch. There are some good performances in this film. One that I found particularly convincing and well done is by the actor that plays Chris’s wife, Emily (played by Hannah Barefoot). Everything she did was nuanced and just spot on. Other scenes are not quite as fluid though. There is a decent amount of awkward dialogue, and not just because of the subject matter. There are also some pretty nasty “ugly cries” in this film, sometimes they feel a little melodramatic. And then there is some awkward timing. As much I really like RJ’s character and understand what he’s going through, he also finds some of the most awkward times to address issues or make a point. And sometimes the point doesn’t even get made. For instance, he shows up at Chris’s house unannounced and uninvited, but doesn’t really accomplish anything that he couldn’t have the next day. It’s certainly not just RJ – Chris has his own grand awkward gesture as well. There’s a lot of anguish in this film. Every time you get to the next scene, someone else is heartbroken. I don’t think it’s an unreasonable part of the story given what’s going on, but be ready. The circumstances that surround these people have created situations where things must be broken in order to mend. I’m glad the Falls series continued, and I like the progress that was made. I just feel like parts of the film could have been made more concise as they tug away on our hearts.